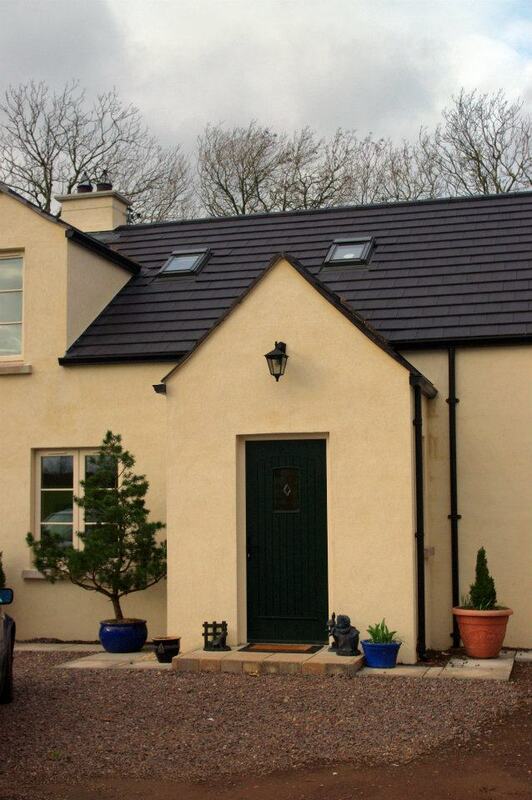 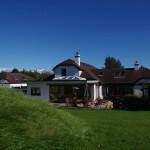 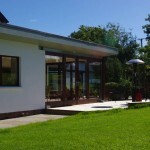 A very modern, contemporary sun room and home office extension to a bungalow in rural County Antrim. 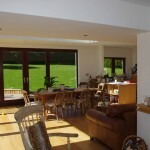 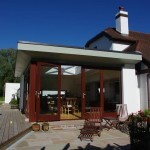 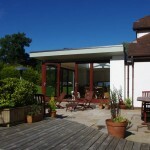 The extension features extensive glazed doors opening onto an outdoor decked patio and bbq area. 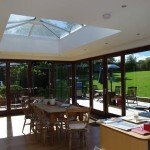 A large rooflight brings more light into this large space and helps to achieve the bright open space that the clients desired. 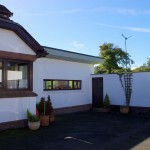 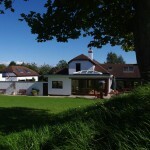 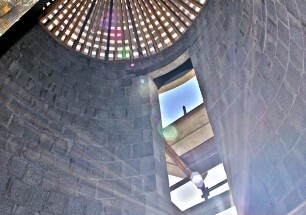 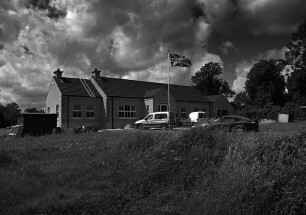 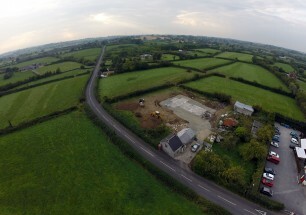 We also achieved Planning Approval for a wind turbine which can just be glimpsed in the field at the top of the garden.